The client wanted to change the presentation depending on whether the visitor was browsing the products or actively shopping (i.e. clicked on the “Shop” link). We used session data to track the status. 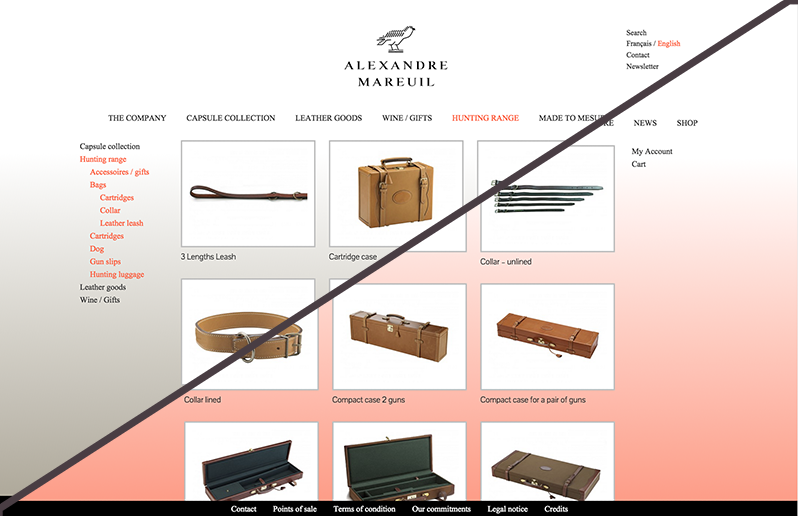 We had to detect choosing a link from the top menu to select or deselect the shopping background. Choosing a category from the side menu had a different effect than choosing the “same” category from the top-level menu.